This is to inform that your college has been scheduled for Syntel 2014 on line test on 3rd May’14. NOTE: The eligible students if the verified seal you can see means you might got the current job and you should apply for it so your registration for the test is over and the test date and hall ticket deatils is within your registered mail box. Percentage: Candidates should have minimum 55% throughout their education: Xth, XIIth, and Graduation. Good written & verbal English skills. Candidates who have applied in the past 6 months will not be eligible to re-apply. Interested and Eligible students are requested to register online in the website www.kiot.ac.in on or before 01.05.2014. 2. The Candidates are instructed to register their details in College Website: www.kiot.ac.in. 3. The last date for registration is on 01.05.2014. 4. 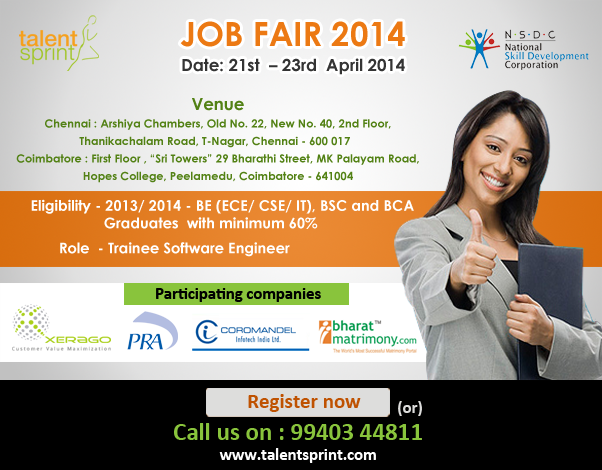 The Shortlisted candidates will be intimated through Email on 02.05.2014. 5. Only shortlisted candidates will be allowed to participate in the Hexaware recruitment process. 6. The Shortlisted Candidates should be present at KIOT campus on / before 8.30 am. An Opportunity to show your talents . . .
For the very first time, Michelin gives students from all over the world a chance to find innovative solutions around ecomobility. This contest is a unique opportunity to present your project in front of major mobility actors. "Innovation in mobility at the heart of growth and urban well-being"
Are you a student or a young graduate who likes challenges? This contest is for you! Gather your team and together revolutionize tomorrow's means of transport. Imagine new solutions for safer, cleaner and more connected roads. Imagine a service, an application, a new mean of transport, a new way of moving…Reveal your creativity! Only one instruction: it has to be a sustainable mobility solution. The 3 finalist teams will present their project in China, during the Michelin Challenge Bibendum in front of major CEOs, experts and political and economic professionals. A unique chance to be spotted by the top management of the most innovative car industry companies and to create your own international professional network! Participating in this challenge is simple! All you need to do is to register on the website, create or join an existing group, and then fill out the pre-selection documents. The 3 finalist teams will present their project in China! Attention to 2014 Batch Students ! ! ! The profiles of all the eligible students will be verified by the college TP Coordinators . . . The last date for the students to apply is 25th April. Online job application is mandatory for the students to participate in Syntel online test which will take place in the May'14, the details of which will be shared shortly. Register Soon . . . Attention to 2014 Batch CSE, IT & MCA students . . .
You have an opportunity to make an impact at Hitachi (Information Technology Group) as a Fresher. Hitachi group companies have business operations in a diverse range of industries that span the globe; each one of which is contributing to social progress and maintaining social infrastructure through innovative technologies, products and services. Worldwide, the company is comprised of 900+ consolidated subsidiaries and has over 360,000 employees, with a 100-plus- year history in contributing to making our society a better place to live. Salary Offered: Best in the Industry. United Health Group is recruiting the best and brightest people to help solve challenges, improve quality, create sustainability, and craft competitive superiority. It is ranked 22 on Fortune 500 list of America's largest companies.